The faith and reason argument is one that each and every theologian and philosopher must consider at some stage in their education. This text should appeal to academics across the spectrum of philosophy and theology and other humanities areas such as language and literature. - Publisher This is an extended discussion of this timeless argument of faith and reason. In 1965 D Z Phillips published The Concept of Prayer, one of his first books, and the first time that the influence of Wittgenstein's thought in the philosophy of religion was truly exposed. 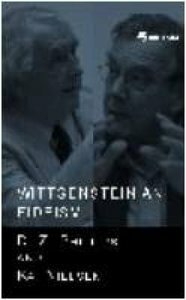 Two years later, in 1967, Kai Nielsen published his famous article "Wittgensteinian Fideism" in the journal Philosophy. Their respective philosophical work has developed over the years, with Phillips becoming known as the leading proponent of Wittgensteinian philosophy of religion, (Wittgenstein's philosophy was that language had only limited meaning unless one understood the rules of the game in order to decipher the structure underlying language. D Z Phillips relates this to theology and religious faith.) and with Nielsen returning to renew his investigation of what he believes is the fideistic implications of this mode of philosophizing. (Nielsen's point being that by applying such reason to religious faith, one does away with the relevance of the faith. If God can be proven, why bother with a faith?) For Phillips the term "Wittgensteinian Fideism" (the belief that faith and reason are separate and faith can only be achieved by the denial of certain rational truths) does more harm than good, since for him it misrepresents and deflects us from the main logical issues concerning language and reality in Wittgenstein's work. For Nielsen, Wittgensteinian Fideism constitutes the most powerful contemporary challenge to secular naturalism. Wherever readers stand in the dispute, there is much to learn from the exchanges within it. This is an extended discussion of this timeless argument of faith and reason. In 1965 D Z Phillips published The Concept of Prayer, one of his first books, and the first time that the influence of Wittgenstein's thought in the philosophy of religion was truly exposed. Two years later, in 1967, Kai Nielsen published his famous article "Wittgensteinian Fideism" in the journal Philosophy. Their respective philosophical work has developed over the years, with Phillips becoming known as the leading proponent of Wittgensteinian philosophy of religion, (Wittgenstein's philosophy was that language had only limited meaning unless one understood the rules of the game in order to decipher the structure underlying language. D Z Phillips relates this to theology and religious faith.) and with Nielsen returning to renew his investigation of what he believes is the fideistic implications of this mode of philosophizing. (Nielsen's point being that by applying such reason to religious faith, one does away with the relevance of the faith. If God can be proven, why bother with a faith?) For Phillips the term "Wittgensteinian Fideism" (the belief that faith and reason are separate and faith can only be achieved by the denial of certain rational truths) does more harm than good, since for him it misrepresents and deflects us from the main logical issues concerning language and reality in Wittgenstein's work. For Nielsen, Wittgensteinian Fideism constitutes the most powerful contemporary challenge to secular naturalism. Wherever readers stand in the dispute, there is much to learn from the exchanges within it. Kai Nielsen is chairman of the Department of Philosophy at the University of Calgary, and is internationally known for his works on moral and political philosophy, philosophy of religion, Marxism and meta-philosophy. Bela Szabados is Professor in the Department of Philosophy and Classics at the Univesity of Regina.